As a gym, our focus is on functional training, strength & conditioning and endurance training to fulfil our members adventures and fitness goals. Obstacle course racing utilises all these elements. 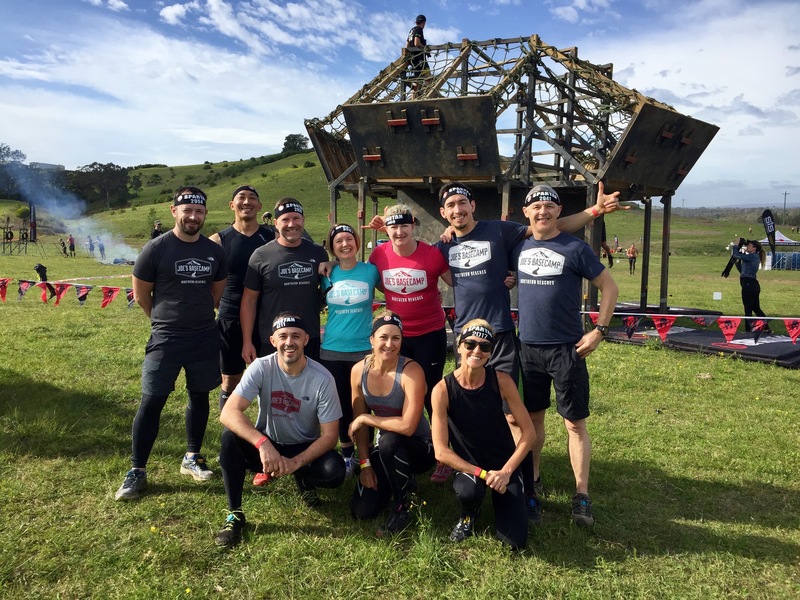 With so many people madly training for Obstacle Course events, such as Spartan Race, Tough Mudder, Survival Of The Fittest, True Grit, we must pay particular attention to some key elements of training, to ensure the best possible outcome on event day. Obstacle races are highly demanding on the body and require a balance of specific skills, conditioning and strength, hard to find in any other sport or discipline. That’s why in the 2 to 3 months before the event is so important to follow a specific training program. During our Obstacle Course workshops at Joe’s Basecamp, and also looking at the main challenges that our Joe’s Basecamp Mud Monkeys have found during races, we’ve identified the 6 top things Obstacle Racers must focus on to get to the event day in the best condition to take on all obstacles as well as avoid injuries. Running: Build your aerobic base first. Spend 8-12 weeks running at a purely aerobic level (heart rate of 180 less your age) and only 20% of the time doing more high-intensity stuff. This may seem counterintuitive but will pay huge dividends when you get to the fun stuff. It doesn’t matter which event you’re going to do, there will be some run ning to do; this is usually cut into 500 metres to 2 kilometres segments interspersed between the obstacles. Look at the total distance of the event and build to run ¾ of the distance at 80% effort or just within your Aerobic Threshold. If training for a mud run, ensure you spend most of your running time on the trails rather than on the road, this will help you to develop better proprioception and balance, as well as strengthening your ankles and making you less prone to ankle sprains. Conditioning: Complete, 1-2 times a week, a Metabolic Conditioning workout, mixing strength and conditioning movements. Aim to maintain high intensity (80-90%) for prolonged periods of time, from 5 to 30 minutes blocks, slowly building up to a time as close as possible to the event, depending on the intensity. Remember that training is training. Don’t try and gas yourself. Working to an intensity that results in decreased power output during the session will not help your long term goal. Work on being able to train continuously, or do 1 distance run then strength exercises, then rest, then repeat. Over time your ability to work with a higher consistent power output improves and elevates your threshold. Eg: Choose 5 strength exercises (Push up, Chin ups, Sled push, Farmer carry etc) and run 200 to 400m between each exercise without any rest. Grip Strength: One of the main things we have highlighted during our Obstacle workouts is grip strength. All races include m ultiple obstacles that will test your grip strength, such as Rope Climbs, Farmers Carry and Monkey Bars. The best way to improve grip strength is to carry heavy things! Deadlifts, Farmers Carries and Hangs are all great exercises. The important thing is to focus on that grip and squeeze whatever you are holding as hard as you can possibly do; this doesn’t just improve the training effect on the grip but will also help to increase activation and stabilisation at the shoulder joint, making you stronger and reducing the risk of injury. Fat Grips are a great tool to intensify any exercise by making the handle thicker and requiring more grip strength. But be careful; if you don’t plan your grip training properly and say have the ‘hard working hands’ of an accountant, you could very quickly end up with tendonitis of the elbow (either golfers or tennis elbow). Cycle your heavy grip work over the month. Use the right gear for the job: Obstacle Racing, like any other sport, requires the most appropriate equipment. The goal is to be as light and agile as possible so avoid cotton clothing as it absorbs up to 27 times its weight in water, synthetic fabrics are great. Look for tight-fitting clothes to avoid getting caught on some obstacles, preferably long tights for a little more protection when crawling, rope climbing or rope traversing; high socks can also be a good solution if wearing shorts. Core Strength: a strong core will help on pretty much all obstacles, doesn’t matter if you are carrying, climbing or crawling. Now, please don’t drop down and start doing crunches, this might help you to get a better six pack but won’t do much to actually strengthen your core. You want to work on you inner core to build stability and the best exercise for this is a Heavy Farmers Carry, which forces you to activate your deep stabilisers to maintain a strong upright posture. So there you go! Those tips from the top should have you over and under obstacles, wading through mud and collecting finishers medals like never before. Good luck in your next event.